Kit Carson International Academy is proudly presents Willy Wonka Kids! Shows are on May 9 & 10th. Check out our flyer for details! Join us on May 10th at 6:00 pm for a spaghetti dinner prior to our performance of Willy Wonka Kids. Please see the flyer for details. Carson Parents! We are excited about our Standard Student Attire for the 19-20 school year! Students will be allowed to wear blue denim jeans and our newly designed Carson "SSA" T-shirt. Our SSA committee work hard to make our student attire efficient, attractive, and fun for our scholars. In addition to jeans and the new Carson T-shirt, we will no longer require our traditional goldenrod (yellow) color for our polos. Your vote is needed to approve the Standard Student Attire for next year! For more detailed information, please stop by our Front Office. 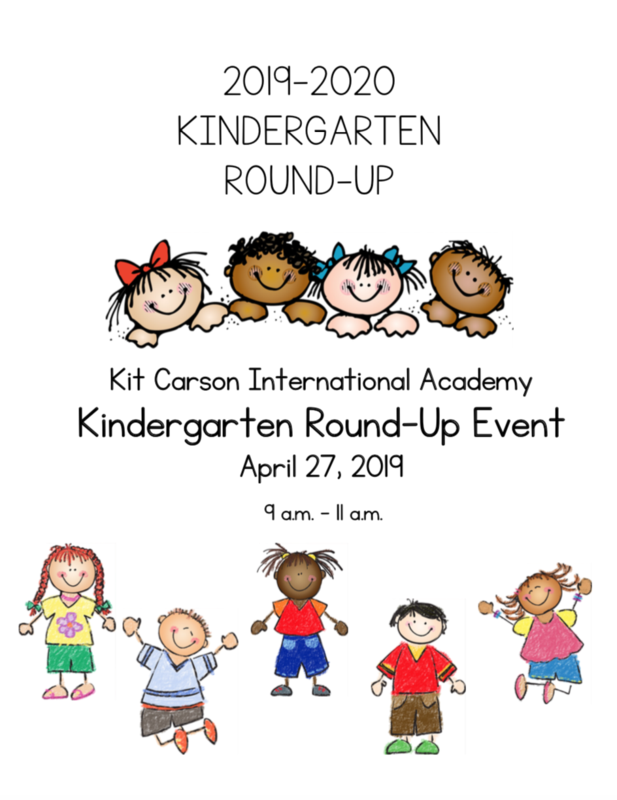 Join us for our yearly Kindergarten Round-Up on April 27, 2019. We'll begin at 9:00 am and end our day at 11:00 am. 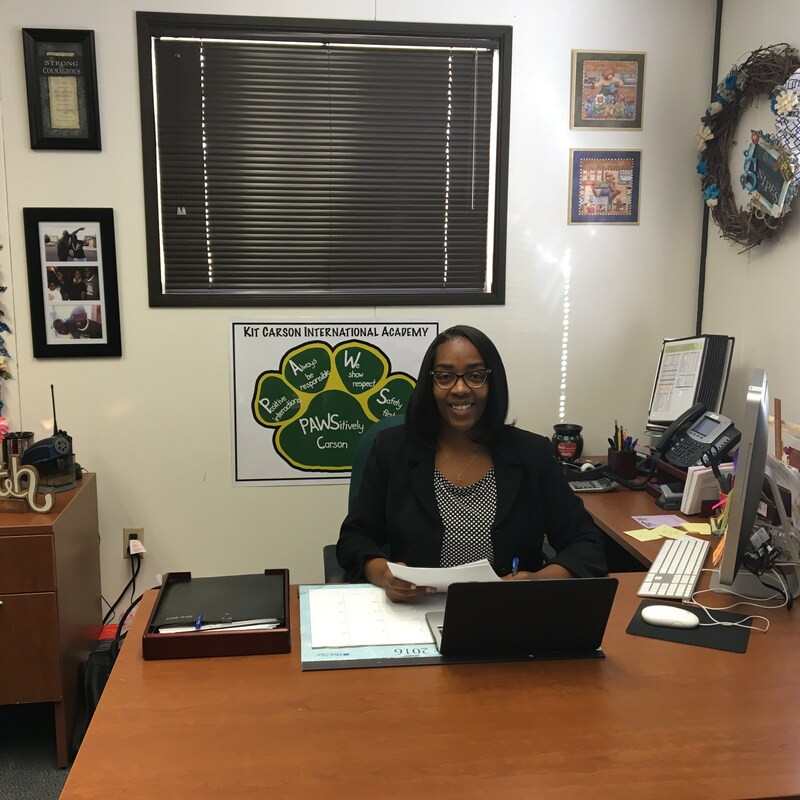 On behalf of the faculty and staff, we welcome you to Kit Carson International Academy! We are pleased that you are a part of the Carson community of learners and anticipate your involvement and cooperation in making each and every school year both successful and memorable for all. It is the desire of the faculty and administration to provide for all students a challenging educational program in a safe and supportive environment. We believe Kit Carson International Academy is the best elementary school in the district, state, and nation. 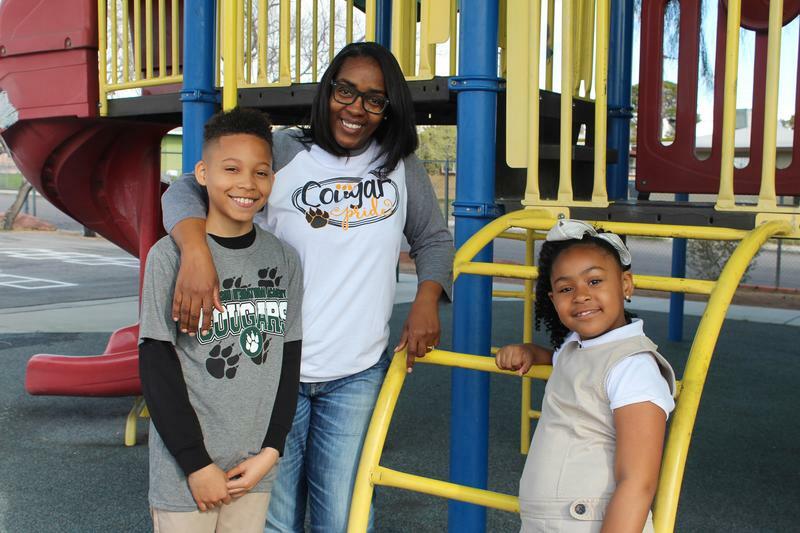 To this end, we dedicate ourselves to hold high expectations for success and achievement for all students and to provide quality academic instruction in a positive and caring atmosphere. We invite you to become an active participant in this process in order to reach our shared goal. The purpose of this website is to provide important information concerning all aspects of school life to students and parents. Please refer to this website for answers to general questions or contact the school for assistance with particular concerns. There will be many exciting opportunities for you to make a vital contribution to our learning community. Join the team immediately, and again, welcome! "Academic Excellence, Every Student, Every Day."